MOSCOW, October 1. /TASS/. Russia’s electromagnetic weapons have begun to be tested in the field, the first deputy CEO of the radio-electronic technologies concern KRET, Vladimir Mikheyev, told TASS on Monday. He said that microwave weapon systems "exist and develop with success." "Testing is conducted non-stop in laboratory conditions and at test sites," Mikheyev said when asked if such weapons had been tested already. He added that active research was underway into systems of protection from electromagnetic weapons. 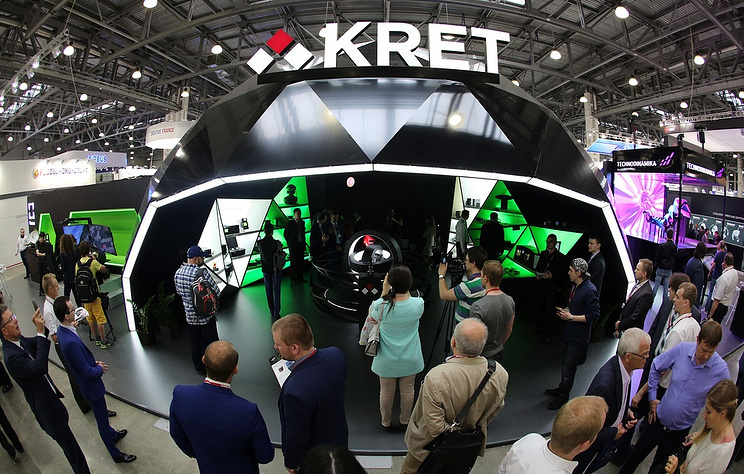 Earlier, KRET said that such weapons would be able to completely destroy the enemy’s radio-electronic systems, for instance, missiles’ homing systems. There are plans for arming Russia’s sixth generation drones with electromagnetic guns. The radio-electronic concern KRET was established in 2009 as a specialized management company of Rostec in the field of radioelectronics.